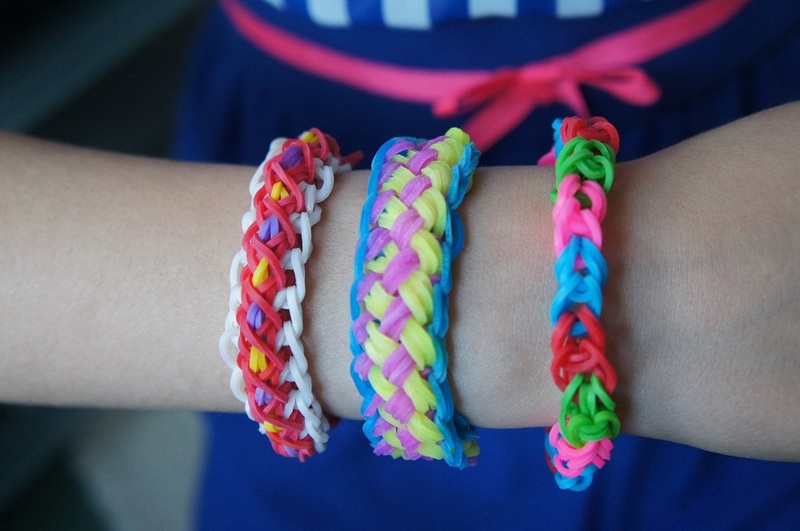 I’ve got to admit, I’m just as obsessed as the children with loom bands and can often be found trawling YouTube looking for fun new things to make. For anyone who hasn’t heard of them (where have you been?! 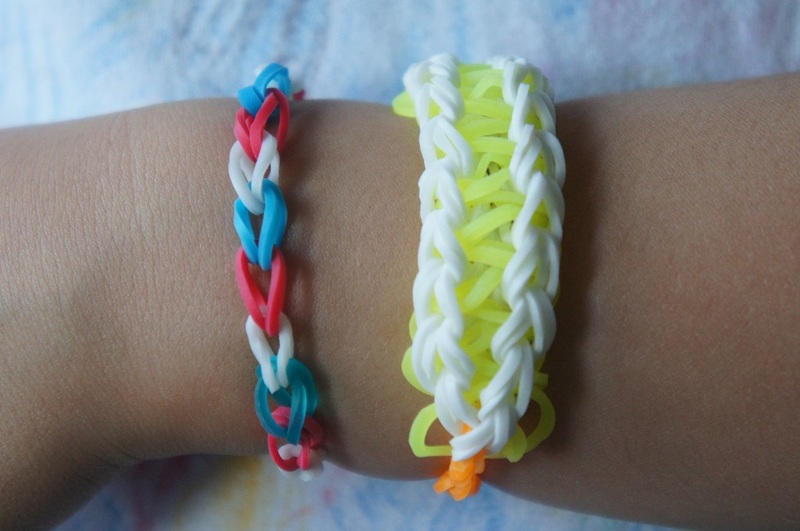 ), loom bands are tiny elastic bands that you weave together, usually on a loom, to make bracelets, charms, necklaces and much more. 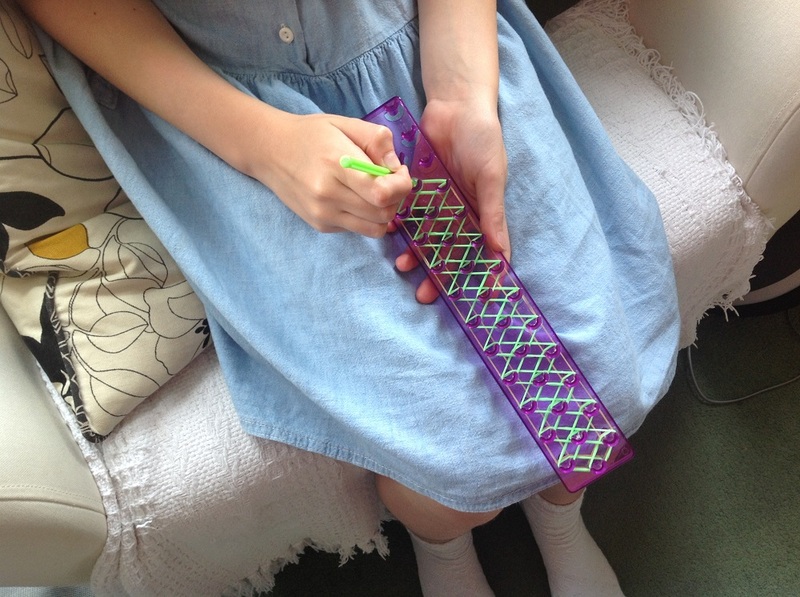 The girls were delighted when Hobbycraft offered to send them a loom band kit to try out. Apparently, a girl can never have too many loom bands! They’ve spent the past few weeks getting creative and here are a few of their favourite bracelets. The kit we tried out comes in a handy box to store all the bands (the dividers need a bit of a wiggle to make sure the contents stay separate), has a couple of hooks and a plastic loom. It’s really useful to have storage so that everything gets tidied away and kept neat ready for the next creation. 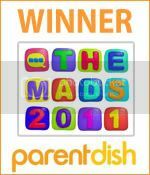 There is a huge choice of colours, meaning lots of lovely bracelets and we hardly had any broken bands – a big plus in my book as broken bands = frustration! I’ll leave you with a few more of our creations. Thank you to Hobbycraft for fuelling our loom band obsession!